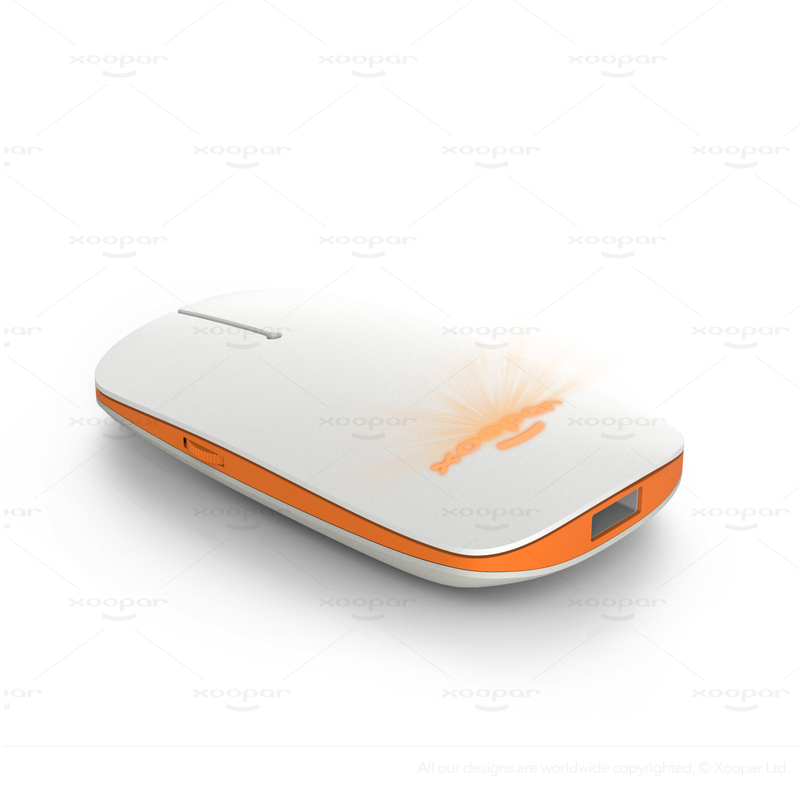 (1) W One: USB to Type C+Micro+Lightning. (2) W Two: USB+Type C to Type C+Micro+Lighting. Type C and Micro USB adapter compatible with the most Android smartphone and tablet. Lightning adapter compatible with iPhone and iPad. 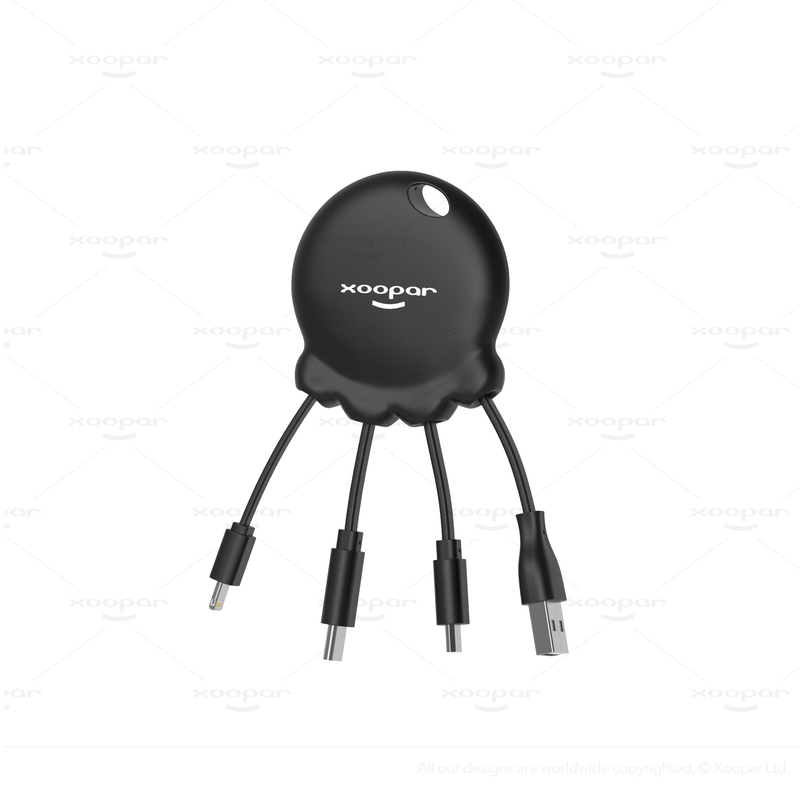 It's the bigger version of the octopus series comes with multi cable + built in battery. Can recharge 35% of your phone for emergency use. 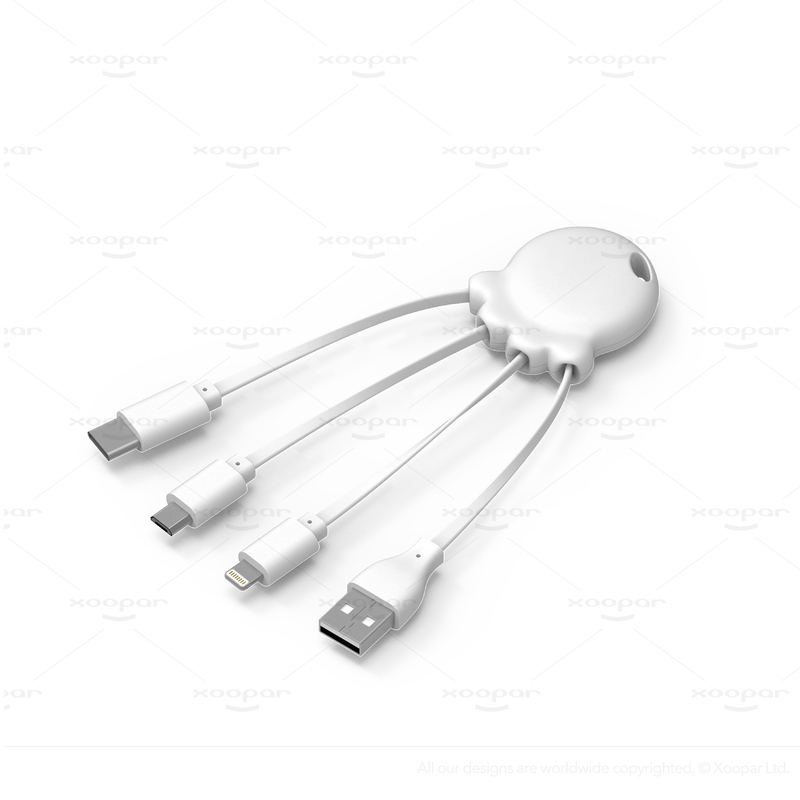 Multi adapter featuring USB, micro USB, Type C and Lightning. 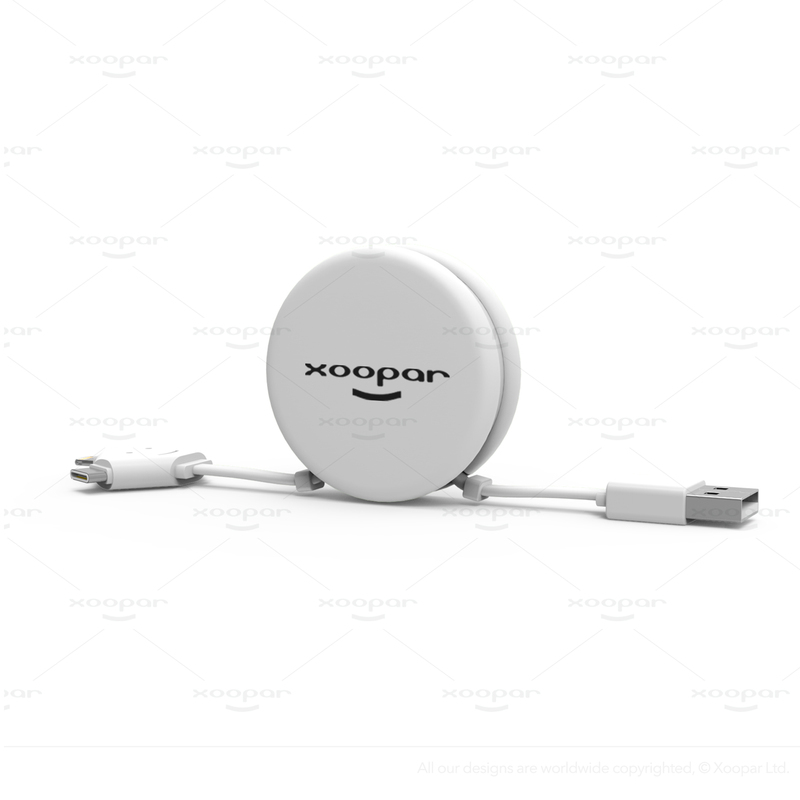 Worry no more about messy cables, it's flat shape will not tangle in your pockets. Includes a keyring hole for portability. Cable length: 1 metre retractable. 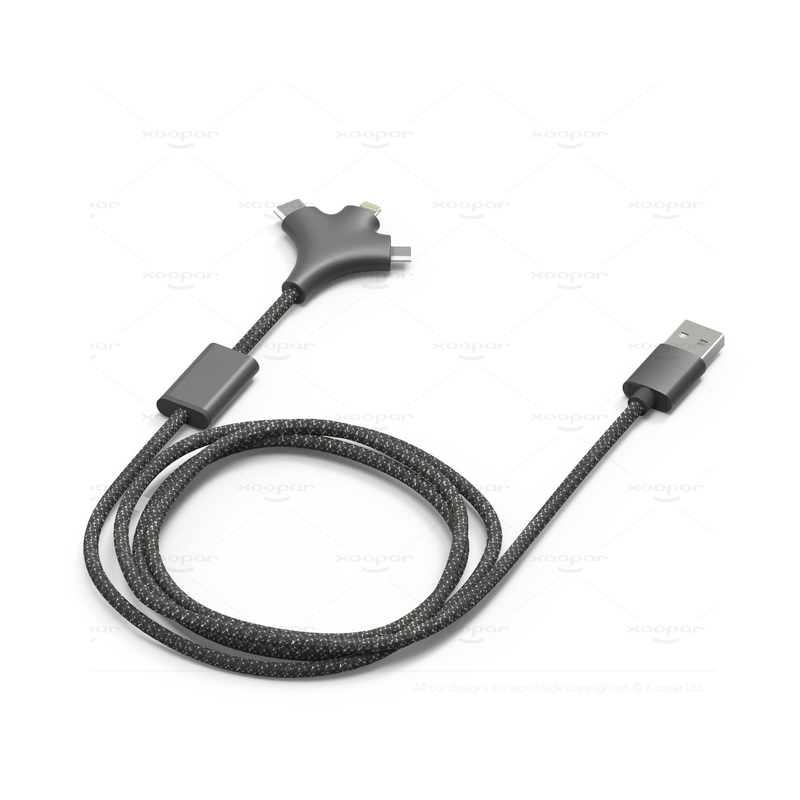 Adapter included：USB to Type C, Micro USB, Lightning 3-in-1. Cable type: Charging only. Housing material: ABS Retractable core + Silicone housing. Custom made possibility: Silicone housing can change color or Design different shape (MOQ applied).